by Ken Blackwell, Contributing Author: President Trump, in a recent tweet, has drawn attention to a pernicious threat against American interests that has persisted for decades: The Organization of the Petroleum Exporting Countries (OPEC) and its alliance with other petrostates as they seek to control the price and supply of oil. With its stated goal of reducing the world’s oil glut in sight, the cartel and its unofficial members should have spent their meeting in Jeddah discussing an exit plan for this pact. However, with oil at three-year highs and rising, the group has moved the goalpost yet again, with discussions on extending the cuts even further as well as indefinite coordination on oil production with Russia. Let’s be clear: OPEC has wrapped its actions in rhetoric about stabilizing oil prices to help the global economy. Now that they’ve institutionalized their cooperation with Russia and other states—expanding the group’s market share to include countries that represent 55 percent of daily supply—and whittled down excess oil inventories, they can go about their real agenda: Juicing the books for Saudi Aramco’s pending IPO, and inflating government revenues to support everything from military spending to lavish lifestyles for their ruling elites. 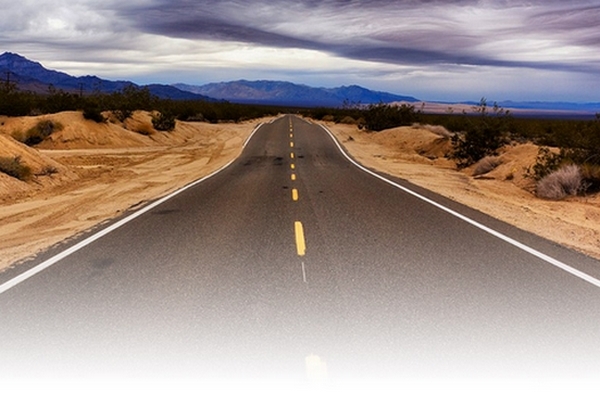 Is this how American motorists want to spend their money? President Trump is right to say this market manipulation is unacceptable. Gasoline prices are also now at their highest in three years, and analysts see them wiping out the benefits of the president’s historic tax cuts as U.S. households will spend $400 more on average at the pump in 2018 alone. Endemic instability in key oil-producing regions—particularly the Middle East and Venezuela—combined with the reduction of global crude oil inventories from 400 to 43 million barrels mean that there is little to insulate Americans from an oil price spike. Oil dependence is a global problem, but Americans are disproportionately affected. Every year, the United States spends $67.5 billion to ensure the worldwide free flow of oil, as we assume the burden of patrolling oil supply lines and engaging in unstable oil producing regions. Even though this commodity is the lifeblood of the world economy, it is priced on an unfree global market subject to OPEC’s collusion. No matter how much oil we drill at home, we will always be vulnerable to the price spikes and slumps brought about through the actions of countries that don’t share our democratic or free-market principles. As we know, an oil supply disruption anywhere impacts prices everywhere. In addition to these geopolitical challenges, OPEC’s actions have a very real impact on household budgets. The last time Americans received tax cuts, the benefits were wiped out by oil price spikes. The cumulative impact of the Bush-era tax cuts from 2001 to 2008 increased household income by $1,900, yet household spending on gasoline increased by $2,000 in the same period. Similarly, in 2011, record gasoline prices cost American households an additional $104 billion compared to 2010, offsetting the $108 billion in additional take-home pay from the Obama-era payroll tax cut. Will we let this happen again? Policy solutions are available, and President Trump can take clear and concrete steps to achieve his goal of energy dominance and mitigate our exposure to OPEC’s behavior. First, we must continue to develop more of our oil resources here at home—the President has already taken steps to achieve this objective. Second, Trump’s EPA must maintain strong fuel economy standards, and use the current rulemaking period to strengthen and modernize fuel efficiency rules that have been effective in saving consumers money for decades. Third, we must encourage the adoption of alternative fuel vehicles running on diverse sources of domestic energy, including electricity, natural gas, and hydrogen. Finally, we must have an honest assessment of our ability to respond to OPEC’s actions to influence oil prices. President Trump can establish an OPEC commission that will investigate how the cartel’s actions undermine American interests and propose solutions to counter their influence. Following these steps lays a clear path towards the energy dominance that Americans deserve. Tags: Ken Blackwell, President Trump, Counter OPEC, Achieve Energy Dominance To share or post to your site, click on "Post Link". 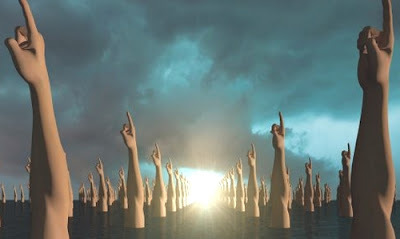 Please mention / link to the ARRA News Service and "Like" Facebook Page - Thanks! 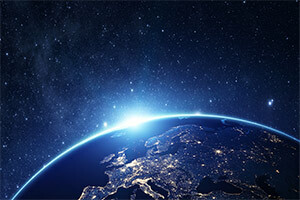 by Newt Gingrich: Two historic events happened this week that will lay the groundwork for the future of space exploration in America. First, after a close vote in the Senate, Oklahoma Congressman and former Navy aviator Jim Bridenstine was confirmed as the new head of NASA. I am confident he will be a strong leader in the space industry as we foster in a new era of innovation, technological advancement, and limitless exploration. Tags: Newt Gingrich, commentary, America in Space, 2024 To share or post to your site, click on "Post Link". Please mention / link to the ARRA News Service and "Like" Facebook Page - Thanks! 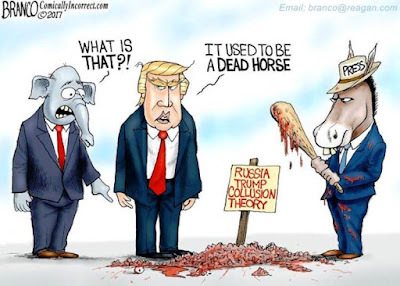 by Gary Bauer, Contributing Author: DNC Delusions - In spite of all the evidence that the "Russia collusion" narrative is collapsing around them (see below), Democrats are doubling down on their delusions. The Democratic National Committee filed a lawsuit in federal court today against the president, his campaign, members of his family and Russia. The lawsuit claims that Russia hacked the DNC's server in order to harm Hillary Clinton and elect Donald Trump, "whose policies would benefit the Kremlin." The idea that Trump's policies would benefit Russia is laughable. He is rebuilding our military and pushing our allies to rebuild their militaries. He has been far tougher on Putin than Obama and Clinton ever were. Remember, my friends, Robert Mueller has already issued indictments against several Russians and Russian entities for their election-related meddling. Deputy Attorney General Rod Rosenstein made it clear that no American "was a knowing participant in this illegal activity" and nothing the Russians did affected the result of the election. What could the DNC possibly know that Mueller and Rosenstein don't know? Speaking of things we don't know, the Trump campaign should countersue and demand access to the DNC's server. Perhaps then we could find out what the DNC was hiding from the FBI! Winning! There were multiple breaking stories last night regarding the Mueller investigation, and virtually everything was breaking our away. Here's my analysis. McCabe's Firing - When former FBI Deputy Director Andrew McCabe was fired, Big Media, the NeverTrumpers and the Schumer/Pelosi gang insisted that McCabe was purged due to the White House's meddling in the Russia investigation. Some insisted that McCabe's firing was "evidence of obstruction of justice." Democrats felt so strongly that McCabe was a victim they even offered to hire him. But yesterday's criminal referral against McCabe, by an Obama-appointed inspector general, is a big win for the White House. McCabe now faces the same charge that Michael Flynn was accused of. It cannot be that Flynn committed a crime and McCabe did not. McCabe must be prosecuted. Rosenstein's Visit - The second win last night was the news that Deputy Attorney General Rod Rosenstein delivered to the president last week. When Rosenstein unexpectedly showed up at the White House last Thursday, it triggered a wave of reports that he was about to be fired. Again, fake news. We now know Rosenstein told President Trump that he was not a target in the Cohen raid. This appears to be a win for the president too. But something seems odd here. The amount of material seized from Cohen was enormous. It is doubtful investigators have been able to go through it all. So how could Rosenstein possibly know whether or not the president is or could become a target of the Cohen investigation? I worry this may be another effort to tempt the president to sit down with Robert Mueller to "clear all this up." I still think that would be extremely ill-advised. The Memos - The third win was the release of the memos James Comey wrote in order to memorialize his early conversations with President Trump. Two things jumped out at me. In a March memo, Comey wrote, "I reminded [Trump] that I had told him we weren't investigating him and that I had told the Congressional leadership the same thing." Comey added that the president was pleased and said it would be "great if that could get out." It is easy to understand the president's frustration. The director of the FBI says Trump is not under investigation, but he wouldn't tell the public that. Meanwhile, the media and the left were smearing Trump day after day. In the same exchange, Comey wrote that Trump said, "if there was some satellite [a campaign staffer or other associate] that did something, it would be good to find that out." Right there it is clear that President Trump was not trying to shut down the investigation. He simply wanted to get the truth out -- that he wasn't being investigated -- in order to end the left's non-stop lies and innuendo -- that Trump colluded with Russia and is an illegitimate president. In another memo recounting a White House dinner Comey had with the president, Trump asked Comey if he wanted to stay on as director of the FBI. Comey replied that he did. "I don't do sneaky things," Comey assured the president. "I don't leak. I don't do weasel moves." For a guy who presents himself as so honorable, this was breathtaking! We know now that he did sneaky things. He did leak. He did a lot of weasel moves. And I am pleased to report that James Comey is now under investigation by the Justice Department's inspector general for leaking classified information. Comey's memos prove Trump did not try to obstruct the investigation, that he was not under investigation and that Comey is a sneaky, leaking, lying weasel. That is a big win for the White House. Rudy To The Rescue - Lastly, it was announced yesterday evening that former federal prosecutor and New York City Mayor Rudy Giuliani was joining the president's legal team. Giuliani's appointment is being presented as a short-term assignment to wind down the Mueller investigation. For the good of the country, I certainly hope that is possible. "As the likelihood of the charges of Trump campaign 'collusion' with Russia seems headed toward zero, the likelihood of proof of a different form of 'collusion' seems headed upward toward certainty." Officers Down - While all of us were enjoying our lunches yesterday, two sheriff's deputies in Florida went into a restaurant to enjoy theirs. As they were sitting down, a man walked up to the window and assassinated them. Gilchrist County Sheriff Bobby Schultz described Deputies Noel Ramirez, 30, and Taylor Lindsay, 25, as "the best of the best." 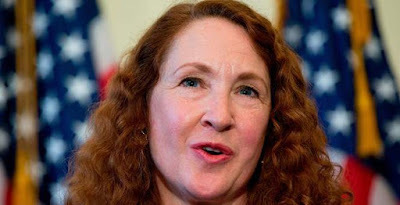 Schultz added, "What do you expect happens when you demonize law enforcement to the extent that it's been demonized?" Meanwhile, law enforcement officials in New York are on high alert following a credible threat that MS-13 gang members are plotting to assassinate police officers in retaliation for "making too many arrests." The gang wants to "take the streets back and take out a cop." Just one more reason why President Trump's tough border security policies are so needed. Please keep the men and women serving and protecting us on the thin Blue Line in your prayers. Tags: Gary Bauer, Campaign for Working Families, DNC Delusions, Winning, Officers Down To share or post to your site, click on "Post Link". Please mention / link to the ARRA News Service and "Like" Facebook Page - Thanks! by Tom Knighton: It’s not enough that the anti-gunners are trying to take away our so-called assault rifles. No, that’s not nearly enough for them. Not that anyone thought it would be, mind you, but I didn’t expect them to ramp it up quite this soon. The latest effort seeks to push states to establish handgun purchasing licenses in all 50 states. While it won’t require it, at least not yet, it’s still an effort to undermine our Second Amendment rights (emphasis mine). Sponsored by Rep. Elizabeth Esty (D-Conn.), Rep. Robin Kelly (D-Ill.) and Rep. Alma Adams (D-N.C.), HR 5490 — otherwise known as the “Handgun Purchaser Licensing Act”—is framed as a means of reducing firearm homicide rates nationally. Under HR 5490, a handgun license would be good for five years. After that, a person would have to go through the process all over again. In addition, the measure is backed by numerous gun control organizations. The groups include the Coalition to Stop Gun Violence; Giffords Law Center to Prevent Gun Violence; CT Against Gun Violence and the Newtown Action Alliance.Time and time again, Etsy seems convinced that laws like this will actually work, and she presents supposed data that proves it. The reason I don’t buy it is that we already know that criminals don’t buy their guns from gun stores. They simply don’t. Further, handgun purchasers–and every other kind of firearm purchaser–already go through a criminal history check and background check. They’re the same damn thing. And it’s because of these existing background checks that criminals tend to get guns through some other means. Now, as bad as this bill is, it could be worse. It’s trying to provide a carrot rather than a stick to urge states to adopt this nonsense. I seriously doubt many states that don’t already use some kind of licensing scheme will adopt it just because the feds are offering money for it. Then there’s the fact that the bill was first introduced a week ago and has a whopping two co-sponsors. In the world of politics, the number of co-sponsors a bill has is a useful gauge as to how much support the bill has. Even in this rabidly anti-gun environment, liberal politicians don’t want any part of a bill like this. While gun control activists love it, the average person doesn’t want their right to buy a handgun inhibited by this. Handguns are the preferred choice for self-defense weapons for most people, after all, and if they need a gun right away, licenses get in the way of them getting one. “But why would anyone need to buy a gun in a hurry unless they have something bad planned?” an anti-gunner may ask. To that, I simply point out that the moment you start getting death threats or you realize you have a stalker, you have a good reason to want a gun. The last thing you need to do is jump through hoops to get a license just so you can exercise your Second Amendment right to buy a pistol. Luckily, I think this has a snowball’s chance in hell of passing, but it warrants keeping an eye on just in case. Tags: Tom Knighton, Bearing Arms, New Bill, Seeks To Push States, To Require, License To Buy Handgun To share or post to your site, click on "Post Link". Please mention / link to the ARRA News Service and "Like" Facebook Page - Thanks! by Tom Balek, Contributing Author: My conservative friends and I become more and more baffled every day at the logic-defying behavior and attitudes of our leftist brethren. 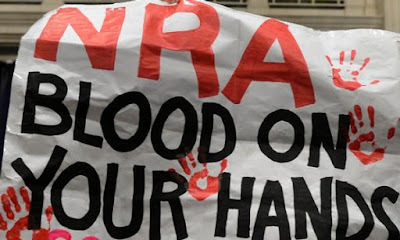 Today’s news features Image result for NRA blood on your handsyet another protest march – ostensibly inspired by school kids, but in reality organized, funded and scripted by hard left political organizations, and super-hyped by their allies in the news media. I recently had an extended conversation on gun rights and school safety with an anti-gun group called “Moms Demand Action for Gun Sense in America“. Well, it wasn’t really a conversation – a thinking person’s concept of conversation is that it requires listening as well as speaking. Leftists never listen. My logical challenges to their lengthy list of vapid talking points went completely unanswered.One of the “Moms” told me directly that I should not be trusted to carry a concealed weapon. She said if a terrorist or mentally ill person came in shooting the place up, she would try to talk him out of hurting anybody. She absolutely did not want me to protect her with my gun under any circumstances. Tags: Bang Your Head, With the Left Tom Balek, Rockin’ On the Right Side To share or post to your site, click on "Post Link". Please mention / link to the ARRA News Service and "Like" Facebook Page - Thanks!
. . . Resistance to California’s unconstitutional laws shielding illegals is growing. 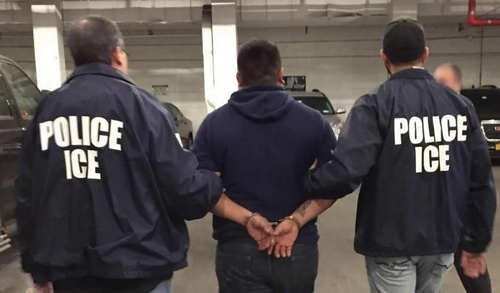 by Matthew Vadum: California’s grossly unconstitutional obstruction of federal immigration laws is feeding a growing backlash by local governments against the state’s unprecedented sanctuary laws that shield its 2.4 million illegal aliens from U.S. Customs and Immigration Enforcement (ICE). Los Alamitos (population 11,600) was the first to speak out on March 19 by opting out of the sanctuary laws. It was later joined in showing support for the Trump administration in one fashion or another by Dana Point (34,012), Aliso Viejo (51,424), Fountain Valley (56,529), Huntington Beach (200,652), Mission Viejo (200,652), Newport Beach (86,688), Orange (140,504), San Juan Capistrano (36,276), Westminster (91,565) and Yorba Linda (68,235).In a move orchestrated by the American Civil Liberties Union and other illegal alien lobbies, residents in Los Alamitos filed a new lawsuit against their city for opting out of the sanctuary state legal regime. Tags: >Matthew Vadum, FrontPage Mag, Counter-Revolution, The Sanctuary State, California, resistance, unconstitutional laws, shielding illegals To share or post to your site, click on "Post Link". Please mention / link to the ARRA News Service and "Like" Facebook Page - Thanks! Judicial Watch; announced today that it filed a Freedom of Information Act (FOIA) lawsuit against the Justice Department for all records of communications relating to former FBI Director James Comey’s providing memoranda of his conversations with President Trump to Special Counsel Robert Mueller and his team. (Judicial Watch v. U.S. Department of Justice (No. 1:18-cv-00932)). Tags: Judicial Watch, sues DOJ, Comey-Mueller, communications To share or post to your site, click on "Post Link". Please mention / link to the ARRA News Service and "Like" Facebook Page - Thanks! Gov. Asa Hutchinson: In Arkansas, we keep looking for ways to put money back in taxpayers’ pockets. Just this week, I announced my support for legislation next year that will increase the state’s Homestead Property Tax Credit from $350 to $375. Arkansas homeowners deserve a break, and with our state’s growing economy and conservative budget, we can afford to make this change. The Homestead Property Tax Credit came into being in 2001 after Arkansas voters approved Amendment 79 to the state constitution. The original tax credit was $300, and in the years since, it has risen to $350. The extra $25 credit will be a relief for homeowners without any extra cost to counties. In granting the tax break, the proponents wanted to protect counties from economic harm through the loss of tax revenue. So the General Assembly passed enabling legislation to levy a statewide 1/2-cent sales tax. That money goes to the Property Tax Relief Trust Fund. The money from that fund, in turn, goes to counties to reimburse them for the loss created by the credit. In a meeting in February, the executive director of the Association of Arkansas Counties asked me to support the idea of the $25 increase, and he followed up with a letter explaining why this was a good time for the change. I asked the Department of Finance and Administration to analyze the impact of the increase. The department’s analysis demonstrates that this plan is the right thing to do. The new credit will reduce taxes to counties by almost $18 million. At the end of the Fiscal Year 2017, the balance of the tax relief fund was $78 million, which is more than sufficient to cover the increased tax credit. So I offer my enthusiastic support for increasing the Homestead Property Tax Credit. Any idea that allows us to put money back in the hands of Arkansas taxpayers can be a good idea. I am confident the General Assembly will approve this change so it will become a reality next year. 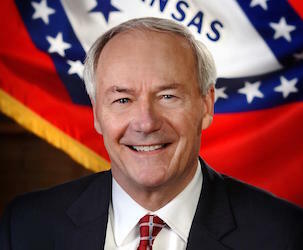 Tags: Arkansas, Governor Asa Hutchinson, seeks increase, Homestead Property Tax Credit To share or post to your site, click on "Post Link". Please mention / link to the ARRA News Service and "Like" Facebook Page - Thanks! by Patrick Buchanan: A fortnight ago, Viktor Orban and his Fidesz Party won enough seats in the Hungarian parliament to rewrite his country’s constitution. Tags: Patrick Buchanan, conservative, commentary, Authoritarian Right, Rising To share or post to your site, click on "Post Link". Please mention / link to the ARRA News Service and "Like" Facebook Page - Thanks! 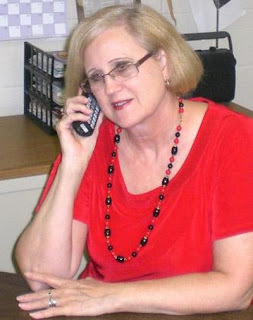 by Kerby Anderson, Contributing Author: Dr. Anne Bradley has been on my radio program and in one of her articles, she talks about her first trip to the Soviet Union. Even as a teenager she could see through the attempt to make Russia look more prosperous than it was. In fact, her visit was one of the reasons she became an economist. She ends her article by telling the true story of what happened when Boris Yeltsin visited the United States. He was newly elected to the Soviet Parliament and the Supreme Soviet. After he visited the Johnson Space Center, he made an unscheduled stop at Randall’s Grocery Store in Houston. 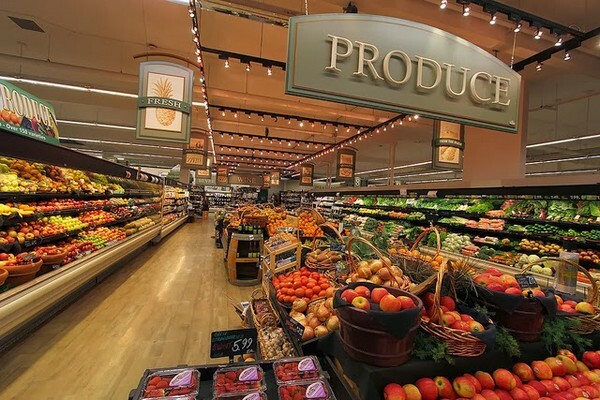 This trip to a simple grocery store changed him forever. Yeltsin roamed the aisles to see the number of products available to every customer. They were offering free cheese samples. He was overwhelmed. He could not believe the bounty before him. Even members of the elite Politburo did not have the choices available to every person who walked into the store. What a statement from a man who was powerful and well connected politically. He may have had great political power in Russia, but he was powerless to provide to the Russian people what was typical for all Americans. The communist government failed to provide the basic necessities for their people. This is what happens in a centrally controlled economy. This is a lesson we need to pass on to our children and grandchildren. The abundance of goods on the shelves of that Houston grocery store weren’t provided by the government. They were provided by a free market. Tags: Kerby Anderson, Viewpoints, Point of View, Communism, Grocery Store To share or post to your site, click on "Post Link". Please mention / link to the ARRA News Service and "Like" Facebook Page - Thanks! 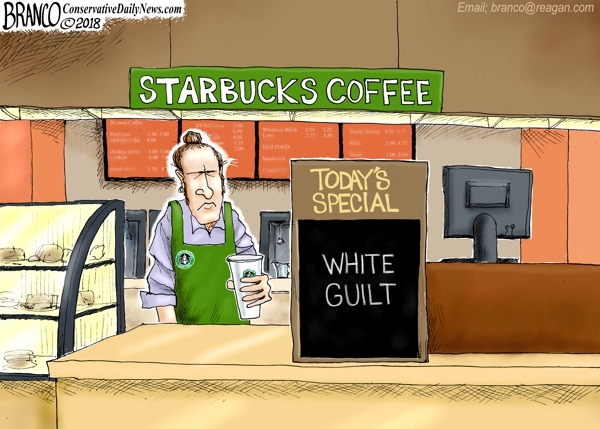 Black Coffee Matters . . .
. . . Starbucks Coffee, accused of racism, is shutting down 8000 stores for employee bias training. Can you say overreaction? Tags: editorial cartoon, AF Branco, Starbucks Coffee, accused of racism, overreaction, shutting down 8000 stores, employee bias training To share or post to your site, click on "Post Link". Please mention / link to the ARRA News Service and "Like" Facebook Page - Thanks! by Paul Jacob, Contributing Author: If I’ve heard it one million times, I’ve heard it ten: “We already have term limits; they’re called elections.” A statement usually offered as the beginning and end of wisdom regarding the problems term limits are designed to tackle. Tags: Paul Jacob, Common Sense, term limits, yellow and white lines To share or post to your site, click on "Post Link". Please mention / link to the ARRA News Service and "Like" Facebook Page - Thanks! by Natalia Castro: Charter schools are transforming American education. For the country’s most at risk students, charter schools are playing a critical role in building educational opportunities for students. As the Department of Education expands charter school use, studies proving their effectiveness have begun pouring into academia, proving that school choice is the best path toward educational advancement. The biannual National Assessment of Education Progress (NAEP) has released their 2017 National Report Cards assessing achievement across American schools through controlled variables. On a national level, charter schools appear to be even with non-charter schools, but John Valant of the Brookings Institute explains there is a clear reason why. 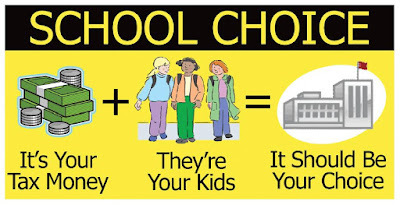 In his March 2016 article, Valant explains charter schools are often clustered in urban areas and use a lottery system to take on a district’s most poor and underserved students. This allows them to show particular growth in America’s most needed areas. This is further illustrated by the NAEP report, which showed on the district level, charter schools far outperform traditional schools. In America’s most diverse cities, charter schools are leading the way. In Atlanta, with 19 percent of schools now being charter schools, charter school students produce average math test scores that are 17 points higher than their non-charter school counterparts. Similarly, in Los Angeles, charter school students score on average 28 points higher on math test scores. In Cleveland, Ohio’s most diverse county, charter school students score on average 18 points higher than their non-charter counterparts on reading exams. In Milwaukee, Wisconsin’s most diverse county, charter school students outperform non-charter school students on reading test scores by 14 points. The Center for Public Education fact sheet on charter schools attests this is due to diverse teaching staffs that can teach free from excessive state and federal regulations. With the ability to craft entire curriculums around student success, charter schools are able to experiment different methods of success. Education Secretary Betsy DeVos has seen these positive impacts first hand in her home state of Michigan. Findings from a new study by researchers at the University of Michigan compared students who received admittance into a charter school system through a lottery with those who also applied for the lottery but got denied in order to measure school success. While transitioning students showed the smallest progress, by the time charter school students graduated they displayed higher scores in both math and reading. But this was by far the greatest impact. In these Michigan charter schools, teachers are 47 percent more likely to be viewed as mentors than administrators. Principles observe teaching roughly 9 hours per day versus roughly 2 hours in traditional schools, due to administrative tasks. While teachers are paid less in charter schools, they are 20 percent more likely to receive performance bonuses. Charter schools encourage the entire administrative staff to work for and with students, thus creating a holistically stronger learning environment. Last September, Secretary DeVos decided to allocate significant funds toward charter school development. Across the country, for our most at-risk students, those funds are paying off. But states do not have to wait federal intervention, they are already proving that once broken free from centralized control, particularly in urban areas, charter schools are providing better opportunities for the nation’s most at risk students. 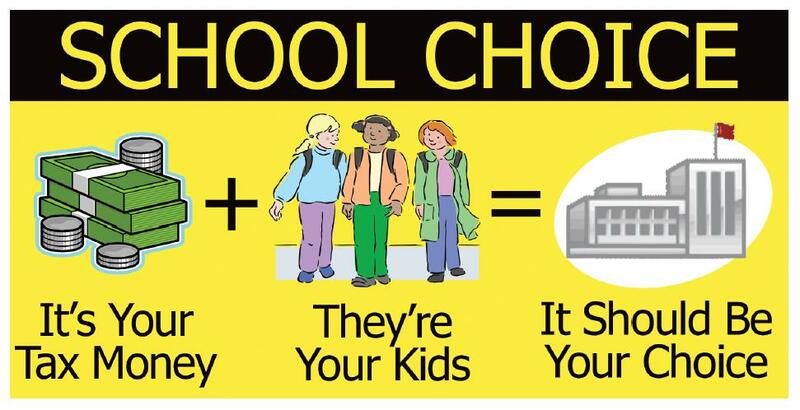 Tags: Charter Schools, School Choice, Natalia Castro, Americans for Limited Government To share or post to your site, click on "Post Link". Please mention / link to the ARRA News Service and "Like" Facebook Page - Thanks! by Rachel del Guidice: Office of Management and Budget Director Mick Mulvaney says his staff will soon be sending a package to Congress to rescind some of the planned spending in the $1.3 trillion omnibus bill signed last month by President Donald Trump. Trump signed the omnibus bill March 23, after tweeting that he might veto it, and Brat said he is hopeful a rescission package will pass if the White House supports the push. “I think it’s got a chance if the White House and House leadership together try to team up and tell the Senate, ‘Hey, it’s about time you guys got to look out for the American people here, and it should be made in public if it needs to be,” Brat said. Jason Pye, vice president of legislative affairs at FreedomWorks, told The Daily Signal in an email that there is no reason why Congress shouldn’t pass a rescissions package. 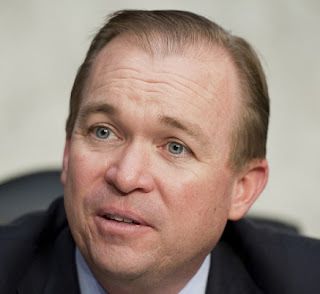 Tags: Budget Director, Mick Mulvaney, To Ask Congress, Cut Spending, Rachel del Guidice, The Daily Signal To share or post to your site, click on "Post Link". Please mention / link to the ARRA News Service and "Like" Facebook Page - Thanks!